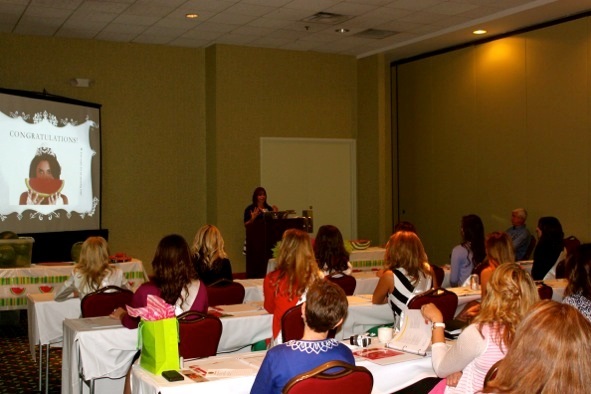 BEHIND-THE-SCENES AT THE ANNUAL WATERMELON QUEEN TRAINING DAY - What About Watermelon? The National Watermelon Association recently crowned its new National Watermelon Queen (stay tuned for an interview in an upcoming blog entry), but did you know that there are eight additional queens? 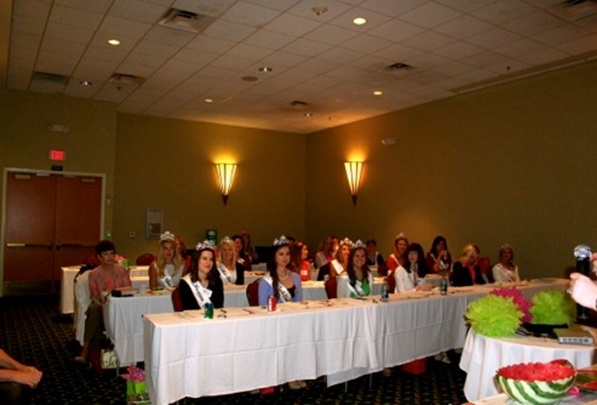 The “extra” queens represent each of the watermelon-producing states and regions and join the National Watermelon Queen in helping to promote watermelon at events throughout the nation. To help them make the most of the demands of their new position, the queens came together this past weekend in Orlando for one day of rather intense training (but also lots of fun). The training includes lessons on being a media liaison, in-store appearances, recipe demos, appearance, and etiquette to name a few. 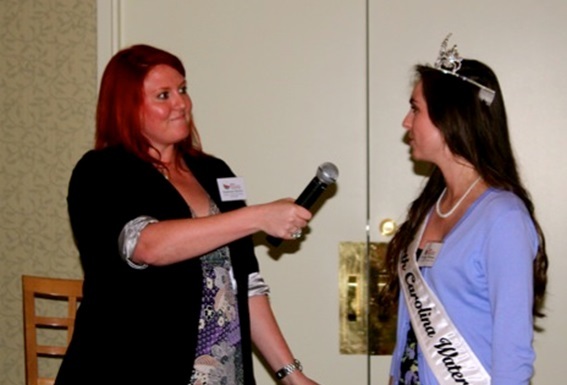 During the media training session, all queens participated in mock interviews in various scenarios from TV interviews to in-store appearances. NWPB Staff also educated them on all of the resources available to them for any promotion they may have throughout the year. 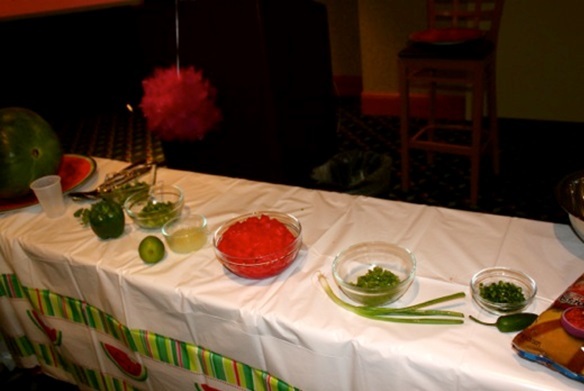 All queens learned how to demonstrate the fire & ice salsa recipe … and also how delicious it is! Looks like a fun and tasty event! !